Kenny became Pastor in June 2014 after being Assistant Pastor for 7 years. His childhood years were mostly spent in Sutherland in the far north of Scotland. A science & theology graduate of Aberdeen University, he seeks to preach with a prophetic edge and see people encounter the transforming presence of the risen Jesus. Kenny combines his pastoral role with being a teacher at Forfar Academy where he has taught chemistry & science since 1997. Married to Lynne, they have three grown-up boys, Stephen, Roddy, and Alasdair. 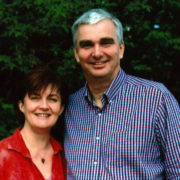 Derek is married to Lynn and has two grown up children and three grandchildren. He worked as a firefighter with Tayside Fire Brigade for 17 years followed by six years as a member of the management team for the Gate Church in Dundee as financial administrator. In 2004 he became CEO of The Factory Skatepark group of companies in Dundee – a Christian Trust. Derek is heavily involved in overseeing the work of Capstone Projects in Uganda and has been out to the country over 30 times in the past 20 years. 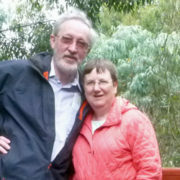 Derek and Lynn moved to Kirriemuir in 2009 and joined the Fellowship. Derek became an Elder in 2012 and currently oversees the fellowship’s work in the areas of community engagement, missions and Bridges. He is also a member of the SCF preaching team. 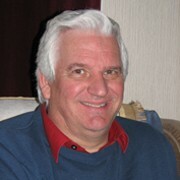 Norman joined the fellowship in 2006 when he returned to this area with his family after spending 22 years working in South Africa. With over 30 years experience in the banking industry he took on the role of treasurer in 2010 and is also a member of the SCF preaching team. He currently works as a civil servant. His wife, Melanie, sadly passed away in April 2015 and he is the father of three grown up children Iain, Shona & Glen. “Hello everyone, my name is Jonathan I am the proud dad of two boys, Eben and Forres, and am married to the wonderful Elizabeth. 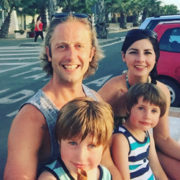 I currently work as a lecturer in education at the University of Dundee as well as running a family learning app based business. I have lived in Kirriemuir for around 12 years and during that time worked as a class teacher and then Depute Head Teacher at Northmuir Primary School. I have been a Christian my whole life although remember deliberately making this choice as a teenager while working at Teen Ranch, a local christian outdoor centre. 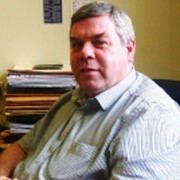 John Thomson has recently retired after nearly 40 years in the computing industry. Having graduated in computing science in the eighties, he has held many positions, in large and small businesses, including being managing director for over a decade of a 12-man software team. His work specialised in communications software, mainly for the military and aerospace market. He and his wife Myra took a career break in the nineties and spent six years doing education, relief and development work in one of the world’s poorest nations, in which their technical and people skills were put to very good use. Having become a Christian in his youth, he’s been involved in quite a few roles in a number of different styles of church. They joined SCF a couple of years ago when they moved up to the Angus Glens from Edinburgh.